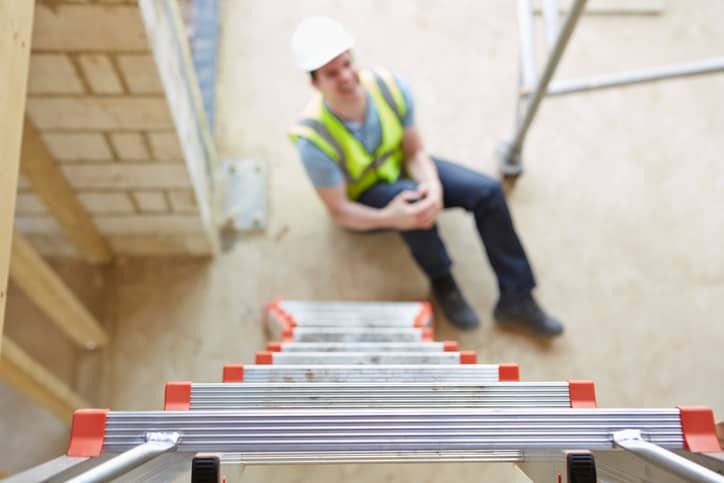 Missing the last step and overreaching were the two most cited issues as the cause for ladder accidents, according to a study completed by the American Ladder Institute (ALI), in 2016. All five of these ladder accident causes can be easily avoided by taking the following precautionary actions of basic ladder safety prior to ladder use. Missing the last step of the ladder when climbing down. Exercise caution when climbing down a ladder. Always face the ladder when climbing up or down, and don’t skip steps! Overreaching while on the ladder. When working from a ladder, keep your center of gravity and body between the side rails. If you can’t easily reach the project area once you have ascended the ladder, climb down the ladder and move the ladder closer to your project area. The ladder was not the right size for the job. One of the factors in determining the right ladder for the job is length. A good rule of thumb when selecting a ladder is to calculate a person’s maximum reach height, which is approximately four feet higher than the height of the ladder. The ladder was not on firm, level ground. Clear trash, construction materials and other obstructions away from the base and top of the ladder. The base of the ladder should be safely secured to prevent accidental movement. You can also use a ladder with non-slip feet or add outriggers or levelers to the bottom of an extension ladder to increase the footprint. Three points of contact were not used when climbing the ladder. Always maintain three points of contact – two hands and a foot, or two feet and a hand – when climbing up or down a ladder. This allows you to maintain your balance. Assure your safety all year long by participating in National Ladder Safety Month this March. With resources such as ladder safety training videos, safety posters, shareable graphics and more, make proper ladder use a priority for you and your company. ALI is the ANSI-approved developer of safety standards for the ladder industry and serves as the A14 Secretariat. Learn more about the different ALI standards, including the recently revised A14.2 and A14.5.